You’ll find some of the most charismatic Christmas experiences in Germany at the Munich Christmas markets. This enchanting city comes alive during the festive season. Consequently, thousands of visitors from all over the world come to experience the local charm and celebrations. It’s easy to see why: Munich is of one of Germany’s most colourful cities. With around twenty Christmas markets in the city to visit, you’ll always find something that you love. Furthermore, there are many unique experiences throughout the city for both families and couples alike. 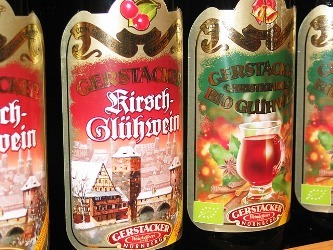 With roots that go back to the 14th century, the Christkindlmarkt Christmas market takes you back in time. Its location on the Marienplatz at the centre of the city means that traditional stalls line the streets. On offer is a mixture of handicrafts, gifts, and local cuisine with recipes largely unchanged throughout the centuries. As a result, you can try some truly traditional German cuisine! Because it is Munich’s most popular Christmas market, the attraction benefits from a unique entertainment schedule. Catch a free festive concert from the balcony of Munich’s Town Hall performed by traditional Bavarian musicians! Be sure to buy yourself a delicious glass of mulled wine to warm your stomach–it’ll certainly keep out the cold! The popular market at the Kripperlmarkt is one of the largest in Germany. Due to its famous nativity scene accessories and handmade crafts, the market is a celebration of what Christmas is truly about. With live nativity scenes and beautiful light displays, the Kripperlmarkt is a must see when visiting the Munich Christmas markets. Our next pick is located a short walk through the Rindermarkt. This is a large market square located at the centre of the city which boasts a heritage going back to the 18th century. The word ‘rinder’ means ‘beef’ in German. As a result, this gives us an insight into the square’s original use as a cattle market. Sometimes the hustle and bustle of the busy Christmas period can lead to a stressful holiday season. A break to the Christmas markets in Germany can provide you and your family with a well deserved break. Unwind and take in what Christmas is all about: mulled wine; gastronomy, and entertainment. The heavenly workshop located inside the town hall provides the opportunity for children to get hands-on with biscuit-making and traditional handicrafts. With so many Munich Christmas markets to choose from, there is plenty for the whole family to see and do. Other spectacular Christmas markets include the Medieval Christmas market where visitors are treated to an array of gastronomic delights. The gospel singing at the Wittelsbacher and the colourful celebrations at the gay pink Christmas market in Stephansplatz are sure to keep you entertained. The Munich Christmas markets are some of the finest in the world. They provide visitors of all ages with a magical experience, offering a unique view of traditional German customs. Why not spend the run-up to Christmas this year capturing some magic for yourself? DERTOUR is a UK-based travel agency with 50 years of experience specialising in Christmas Markets including the popular Munich Christmas markets, taking travellers to the heart of Europe. DERTOUR caters for a large range of budgets, ensuring that anyone can experience the true culture of Germany and other popular destinations within Europe.